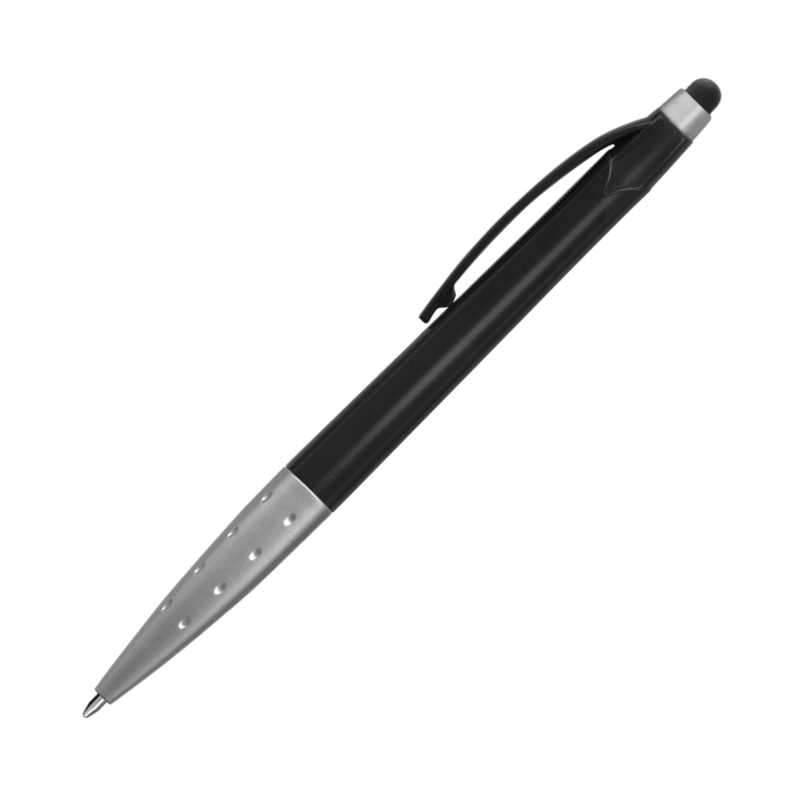 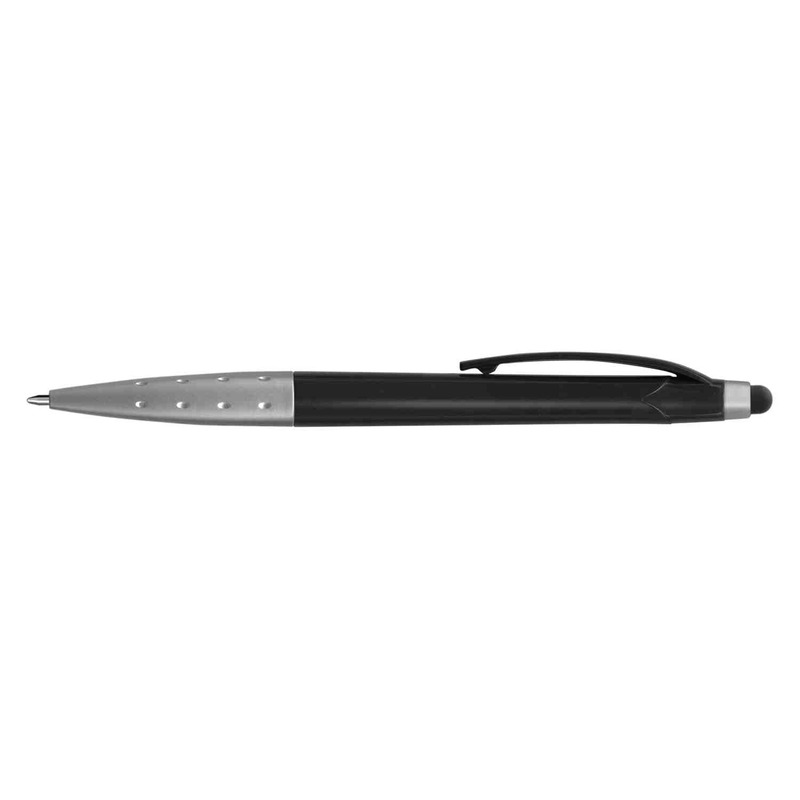 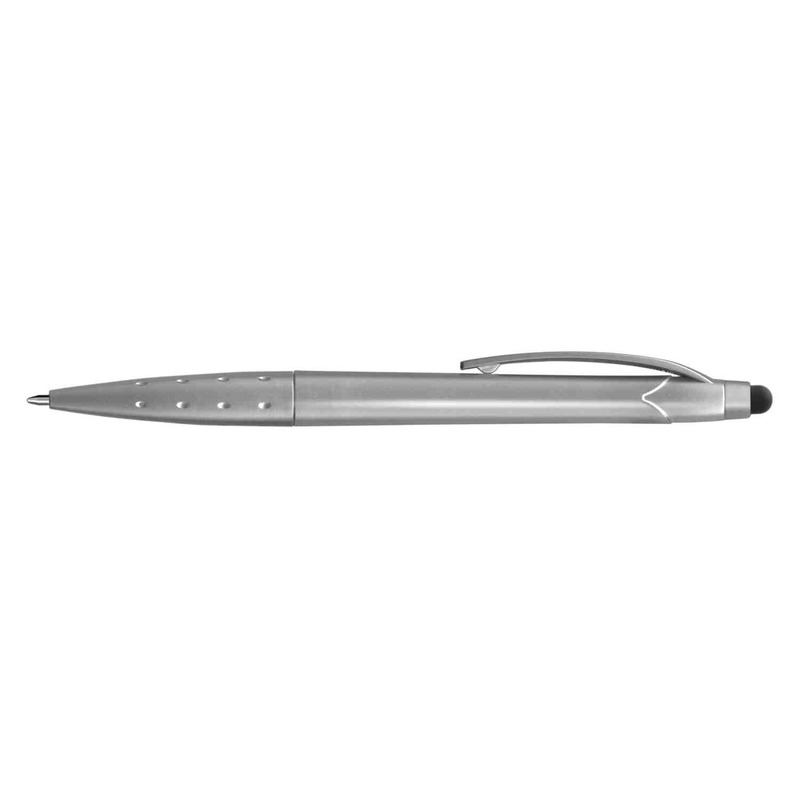 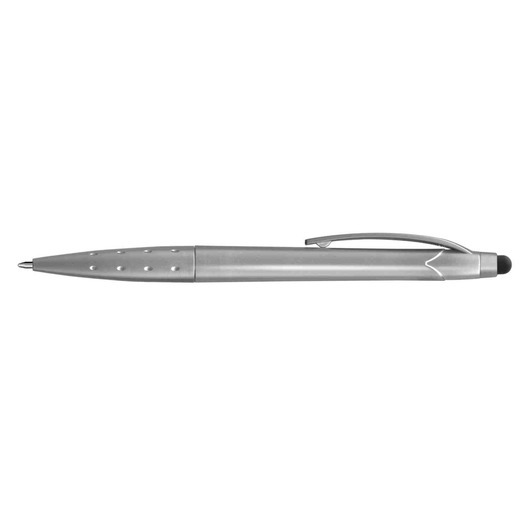 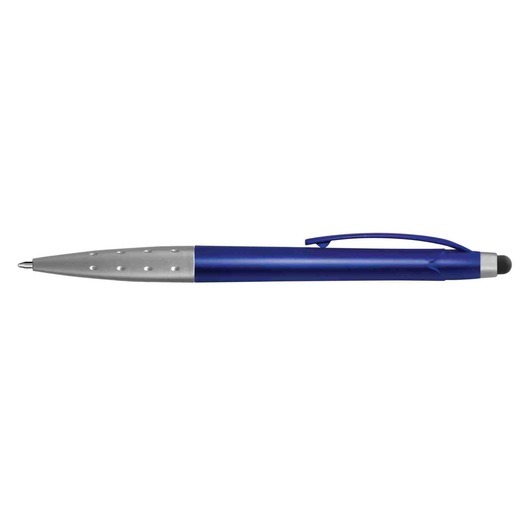 A metallic coloured plastic ball pen with a slender design and stylus tip. 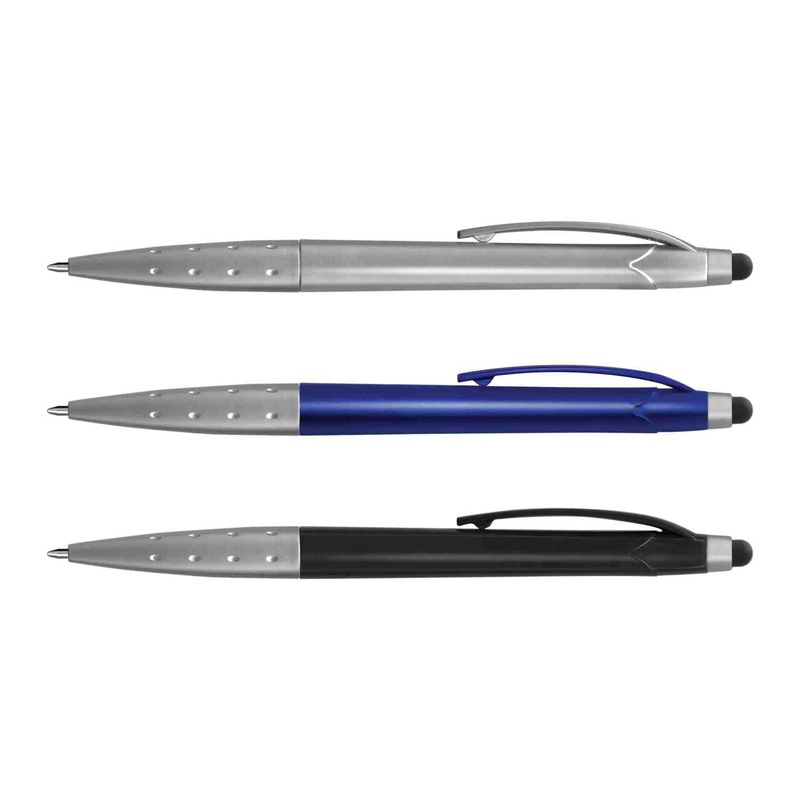 Twist action with a metallic barrel, these plastic ball pens feature a stylus for use with touch screens. 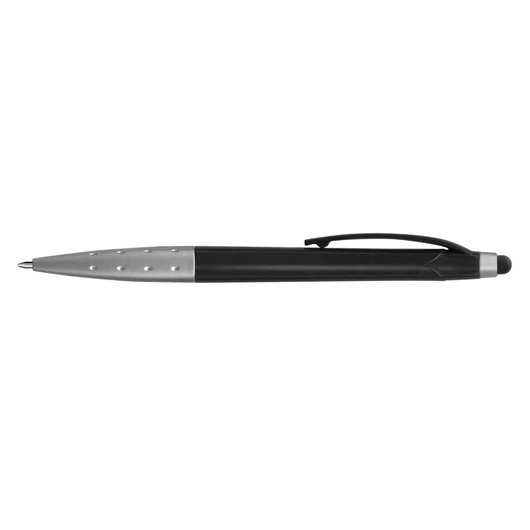 They have a black ink refill with 500m of writing distance and a tungsten carbide ball for improved writing quality.